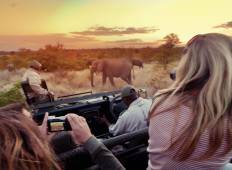 See the top Cultural trips that go through South Africa. With 197 tours to choose from, they range in length from 3 days to 40. The most popular month for these tours is September, which has the most departures. "It was a great trip. I really enjoyed the time. Our guide was so kind and I felt..."
"The tour was great and well explained throughout. Khotso was awesome and very knowledgeable..."